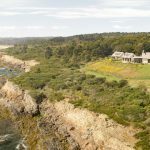 In a regular column, Sanford Fogg, of Fogg Lighting in Portland, offers his best advice on illuminating — and, this month, cooling — your home. 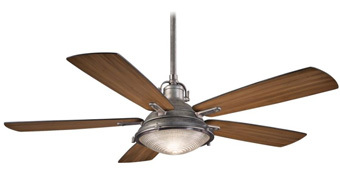 Q: How effective are ceiling fans and what should I look for when shopping for one? 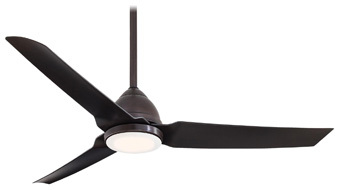 A: Ceiling fans have a place in every home. While they do not lower the temperature, they make you feel more comfortable on steamy days by evaporating moisture on the skin and reducing body heat. 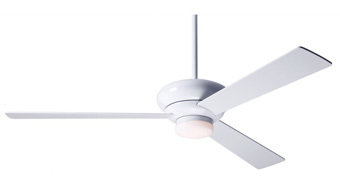 In the winter, you can reverse the motor so the blades rotate clockwise and run the fan on low to gently recirculate the warm air that normally gets trapped near the ceiling. 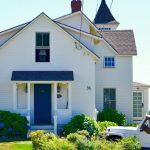 By employing ceiling fans throughout the year, and therefore relying less on your furnace and AC, you can save up to 20 percent on heating and cooling costs. 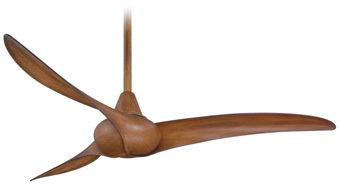 Aesthetically, ceiling fans have gotten a bad rap over the years, but they’ve come a long way. There are now many attractive ones available in a wide range of designs — from traditional shapes with streamlined styling to futuristic models with curvy, aerodynamic blades. A lot of fans are also equipped with LED lights that provide good ambient illumination. Check out some of my favorite styles, below. 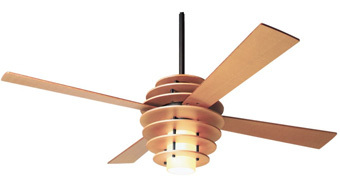 Once you’ve zeroed in on a fan style, be sure to pick one with a blade span that is right for your room. A 36-inch unit is appropriate for small rooms up to 75 square feet; for spaces up to 144 square feet, choose a 42- to 50-inch one. Large rooms up to 255 square feet require a 52- to 54-inch model and those up to 400 square feet need a 54- to 72-inch one. 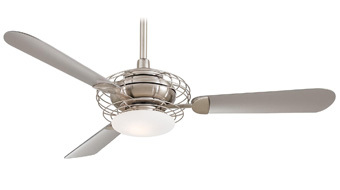 Use multiple fans in a room that’s bigger than 400 square feet. 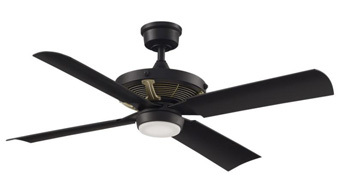 Look for blades with a 14- to 16-degree pitch for optimum air movement, measured in cubic feet per minute (cfm). 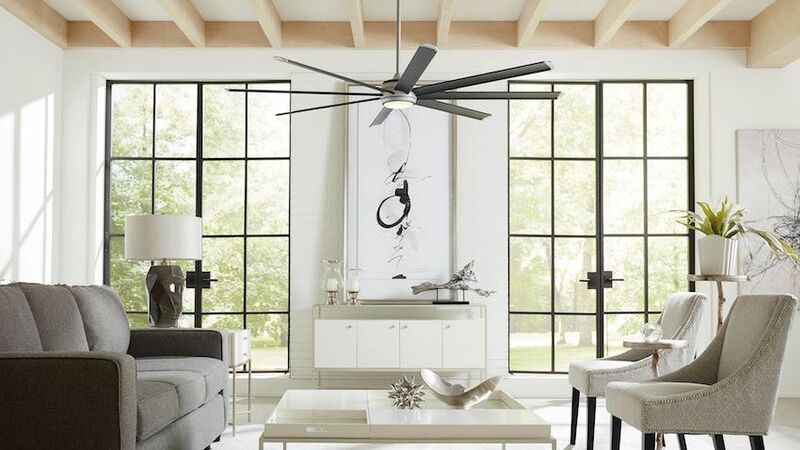 I recommend a fan with a cfm rating of 5,000 or higher, which will have a stronger motor, last longer, and operate more quietly than other types. 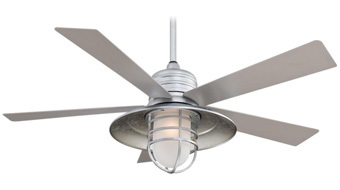 For best performance, mount your fan seven to 10 feet from the floor and six to eight inches from the ceiling. Every three months or so, wipe down the blades with a dampened cloth to remove dust that can curb efficiency and cause wobbling.